If you're building a new home, it's very likely that you'll be building a nice big deck. Being able to fire up the barbecue and throw a few steaks on the grill is a big part of the Aussie summer. 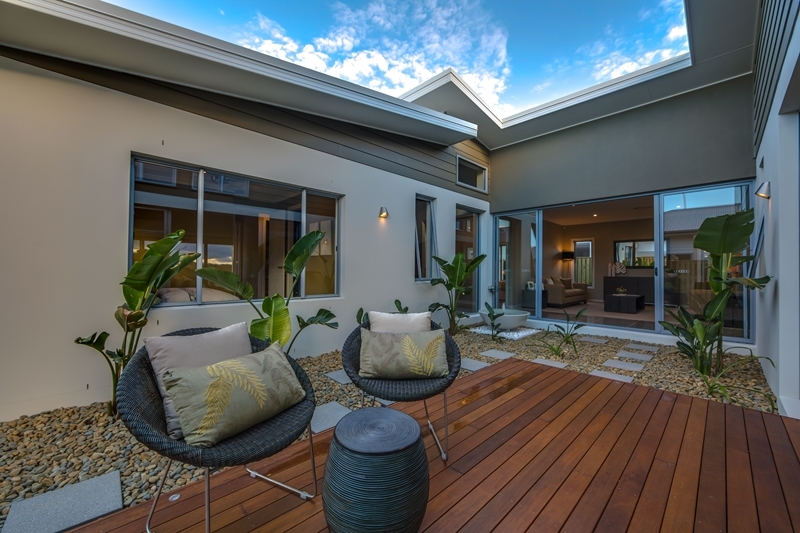 The 2015 Australian Houzz and Home report shows that 71 per cent of people who renovated last year made exterior home improvements. Furthermore, out of these upgraders, 23 per cent built a verandah or deck. This makes it the second most common type of outdoor renovation after exterior paint (28 per cent). Clearly, having our own deck matters. If you're planning on having one when designing your own home, there are many design factors you'll need to take into account. For instance, choosing the right wood can make all the difference both visually and structurally. When it comes to picking timber, it can be tempting to opt for softwood due to its lower price tag. However, as the name hints, it does not have the durability on its own to withstand immense weight. As advised by the Timber Development Association, ensure that the wood is treated first to H3 hazard level for added strength before being used for construction purposes. If you're purposing it for embedded posts, it may need to be preservative treated to H5 hazard level for an even greater level of durability. Ensure that all softwood is treated before being used for decking purposes. Hardwood is pricier than softwood, but is naturally stronger and has a richer colour and hue. Standard pine decking is the most affordable type of hardwood, but is also distorts and degrades a little faster overtime compared to its pricier counterparts. On the other hand, premium pine timber looks more defined, are more durable and are checked for defects such as splits, bark encasing, piths and so on. Kwila is a popular alternative to pine, and bleeds a natural reddish resin that, when aged, will have a dark brown colour. Vitex is another great timber to use, identifiable from its walnut or golden-brown hue. Imported from the Soloman Islands, it's known for having a slightly slippery touch and being extremely durable. If you'd love to design your own home, get in touch with G.J. Gardner Homes. With our help, you will be able to build the deck and house of your dreams.